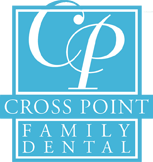 We are passionate about our work and dedicated to providing the ultimate dental experience. Because we KNOW how important your smile is to you, we take the time to understand your individual cosmetic concerns. In addition, we use the most qualified labs in the country to assist us in meeting your dental needs whether you are having some minor dental bonding done or full smile reconstruction. Not only do we serve all your needs in one location in the Westford area but we strive towards making your experience here with our team of professionals one that you will be proud to share with others. For a full treatment plan of your cosmetic dentist needs in Westford, MA, just call our office and we will set up a convenient time for you to explore the possibility of making your smile one that will instill confidence and an overall sense of well being. Stop by and visit our Photo Gallery. We are located directly off Routes 3 and 495 with plenty of parking.